Aussie casino games developer Aristocrat have a great selection of online pokies that have proved to be very popular worldwide. But like any other game, players are limited to a single one at a time, so they have come up with a unique way to bring more of their pokies to their fans in one big hit. The Wonder 4 Stars game sees 4 of their most popular titles playing out on a single screen, with players able to configure which game is in which position, or even which of the 4 they choose to enjoy. It’s an innovative concept that’s quite straightforward once players get over the initial sight of 4 separate sets of reels on view. The pokies in question are 50 Lions, Wicked Winnings II, 5 Dragons Deluxe and Timber Wolf. Each takes up a corner of the screen and in the centre of them all is a button that lets players lay everything out to their own preferences. By selecting each game, it’s possible to move the positions, or mix and match to have anything from all 4 in play at once, to 4 examples of the same pokie running. One point worth mentioning is that players will automatically be wagering on all 4 positions, with the stake determined by which games are in use. 50 Lions for example, has a minimum stake of 25 coins per game, which will equal 100 coins a spin if it’s across all positions, while Wicked Winnings II costs 50 coins each for a 200-coin total. Having all 4 games running at once, which is arguably the whole point of Wonder 4 Stars, will cost at least 145 coins per spin, although players can raise their stakes from there up to suit their own budgets. The effect of this is that while stakes are higher per spin, there’s 4 chances to get a win with each one, so the overall return to player ratio remains unchanged. The other important thing to note is that each of these games have bonus rounds, and if any are triggered, that game will play across all positions. 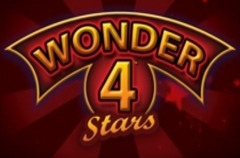 Before the bonus begins, players pick any of the 4 games and during the subsequent free spins, each game will collect a random number of Wonder 4 logos. Players win from their selected set of reels, but if their chosen game gets the most Wonder 4 logos by the end of the feature, they collect the winnings for all 4 positions. If 2 or more features are triggered at once, they play out in order of their positions, from top left to bottom right, so no-one misses out on a bonus game. Set on the plains of Africa, 50Lions has tribesmen, giraffes, a zebra and of course, lions across 5 reels and 50 lines. The lion is a wild, who will be stacked on a reel and act as other symbols, while also paying out wins of up to 5000x the line bet, while the flower is a scatter symbol that takes players to a free spins game.An extra wild symbol is in play throughout the 10 free spins. Wicked Winnings II sees a sultry Devil alongside skulls, tridents and ravens. There’s 15 free spins to enjoy in the main feature, while the Devil character will be held on any reel she fills as the others spin again for free. The popular theme of Chinese culture is the topic of 5 Dragons Deluxe, a colourful game with golden statues and a gold coin that triggers some free spins with multipliers. 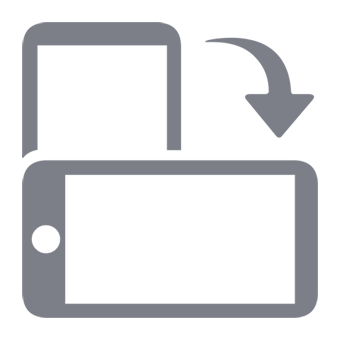 Players get to choose from several free spins games, some with more spins and lower multipliers, others with less spins and multipliers of up to 40x. Timber Wolf follows the ever-popular theme of North American wildlife and has bears, owls and deer running across its reels. If the owl makes up a winning combination, 12 free spins are triggered, during which the wild symbol can multiply wins by 3x, 5x or 15x depending on which reel it lands on. Wonder 4 Stars is a great way to play 4 games at once and as long as players are aware that they will need bigger stakes to do so, it comes highly recommended. While each game has similar bonus features, the fact that players have a chance of winning a bigger prize from them by selecting the right set of reels should help to give them an advantage over playing each pokie individually. If they have a favourite they can play it in all 4 positions, or mix them up in any combination for an even more interesting experience.